Finally! You have read about it, and now here is the video of that moment of glory – the long standing ovation for Neeraj Ghaywan’s Masaan, at its premiere on 19th May, 2015 at Cannes Film Festival. The claps continued long after the film got over. Cheers to the entire team of Masaan! And click here to read an early and glowing review of the film by Screen Daily. UPDATE : And we have got a small video of the presentation ceremony too. Do watch it. Khushboo Ranka and Vinay Shukla have documented one of the most exciting political turn of events in recent times – the making of AAP and the rise of Arvind Kejriwal. 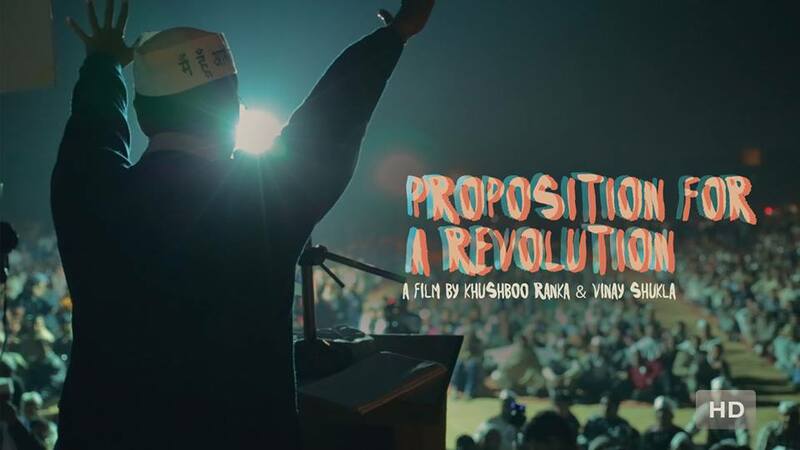 They have just released the first look of the documentary titled ‘Proposition For A Revolution’. They are also looking for post-production funds. So do check this out and if you like, do contribute. – To contribute, you can go to their official site here. Through this blog we have always tried to spread the good word about various crowd-funded (Kickstarter, wishberry and such) projects. Not sure how much it helps those projects but even if its in a small way, it feels good to get the acknowledgement. We hope at least the information reaches some kind souls (with deep pockets) who are pursuing similar interest. Here’s the latest one in our “Fund A Film” page – Supriti Malhotra’s Shakti – of science and traditions. 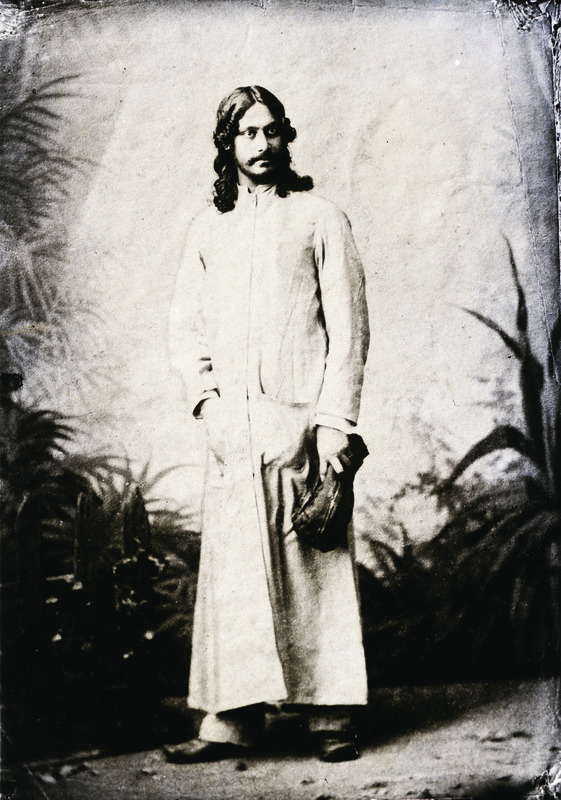 About the film : A documentary on the concept of Shakti, as seen in mythology, religious practices, social influence, and modern scientific theories. More on the film (from its Kickstarter page) – This feature length documentary explores the concept of Shakti, the Hindu Mother Goddess, whilst looking at various versions of her myth. A parallel search in the scientific world, a world of empirical enquiry, reveals a similarity of concepts. This film also explores the idea that women are active manifestations of the Goddess, believed by those practicing Shaktism or worshipping the Mother Goddess. In India, the worlds largest democracy, with close to 80% Hindus, religion finds expression not just as personal belief; it also plays a role in politics and media; as well as dictating social traditions as per its code of conduct. I have always questioned the idea of women’s empowerment. Is it simply about equal rights and opportunities? Is it not also the right to decide the course of your life? In a country seeped in rituals of tradition and modern economics, the role of women has changed in recent times. I seek to largely examine whether it has filtered to those living outside urban areas. As I search through the villages and small towns, through temples and traditions, the film is hopeful of finding a new perspective on women, Shakti and their relationships in a fast changing India. The film also hopes to show that some mythical and scientific concepts may not be that different after all. – To know more about the film, the filmmaker and how you can contribute to it, click here to go to its Kickstarter page. – She has just 27 days to get her funding. If you want us to feature your project, you can send us the details at moifightclub [at] gmail dot com. We will put out the posts with the interesting ones.